Attorney Stacey L. Selleck graduated from Wayne State University in 2004 with a bachelor's degree in communications. 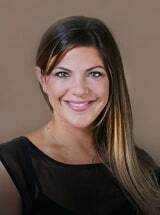 After graduation, she attended Thomas M. Cooley Law School and received her Juris Doctor in 2008. When you have criminal charges pending against you, you need an aggressive, experienced attorney who will fully represent you, and Ms. Selleck is just that person. Ms. Selleck was admitted to practice law in the state of Michigan in 2008. Since then, she has been admitted to practice by the State Bar of Michigan and the U.S. District Courts for the Eastern and Western districts of Michigan. She actively participates as a member of the Criminal Defense Attorneys of Michigan (CDAM) which promotes expertise in the area of criminal law, family law, bankruptcy, constitutional law and procedure; improves trial and appellate advocacy; and improves the quality of legal representation for persons in the criminal and quasi-criminal justice system. Ms. Selleck is a graduate of the CDAM Trial College and regularly attends workshops and seminars where she learns the latest techniques in trial advocacy and communication skills. She also completes continuing education seminars and courses to stay on top of the ever-changing areas of practice. Through her opportunities with CDAM, Ms. Selleck has participated in some of the best cutting-edge training for defense attorneys in the country. CDAM has assisted in providing the tools and techniques Ms. Selleck needs to effectively represent citizens accused of crimes and to defend the Bill of Rights. In her spare time, Ms. Selleck is committed to raising funds for the Leukemia and Lymphoma Society, and she has partnered with Team In Training to participate in two full marathons in 2010 and 2011 to raise awareness and funds for LLS.